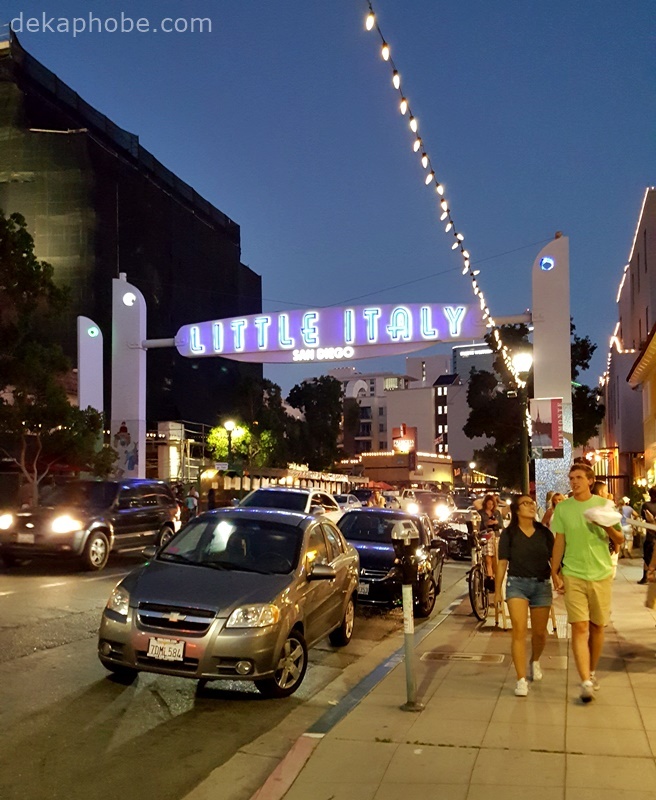 My friend and I were walking along Little Italy one night and stopped by this colorful dessert shop named iDessert by Jean-Philippe. 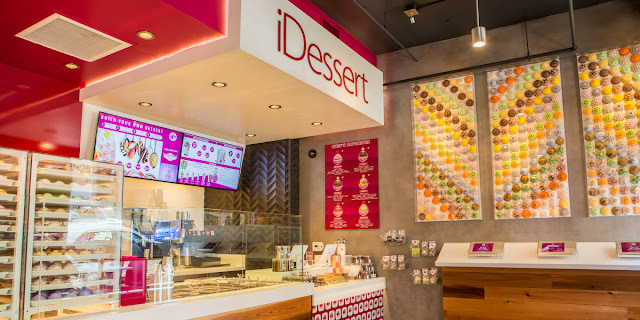 iDessert serves a variety of desserts: gelato, sorbets, crepes, and the chef's own creation of Dessert, which is made up of meringue crust, gelato, flavored cream, sauce, and other toppings. 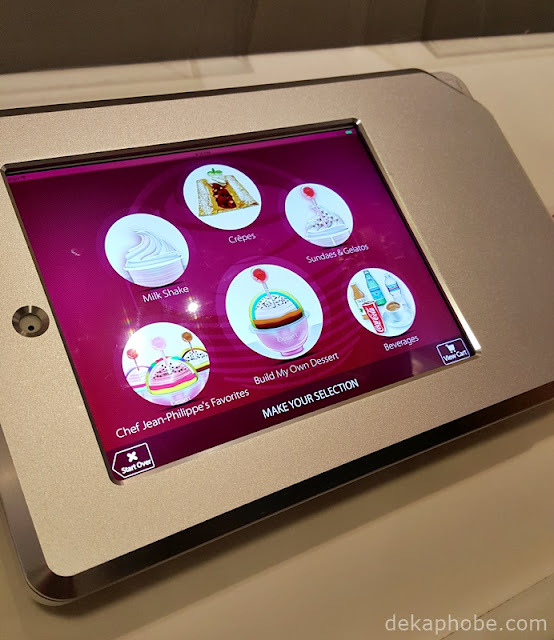 The place has tablets where you can put and pay for your orders. You can watch the desserts being made at the counter while waiting for your desserts. 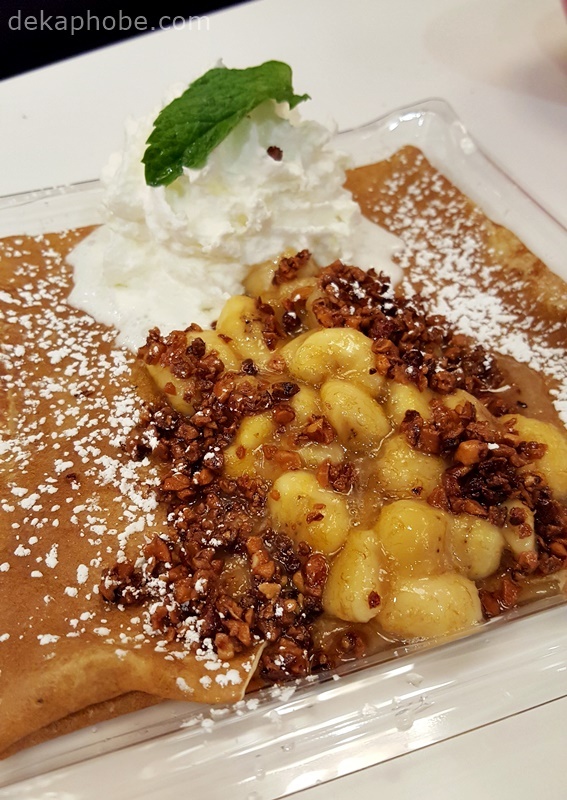 My friend ordered one of the Chef's Favorite Desserts, Intense ($8.95) while I got a Banana Foster Crepe ($10.25). 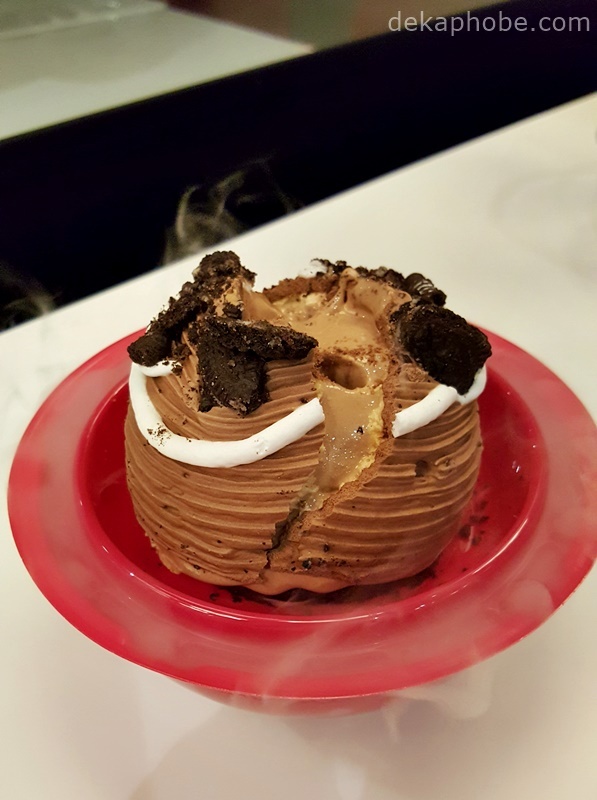 Intense has an Oreo Crust, Chocolate Gelato, Coffee Cream, Chocolate Cake, and Vanilla Sauce. friend would eat her dessert. I definitely should have ordered one as well, but my crepe isn't bad at all.